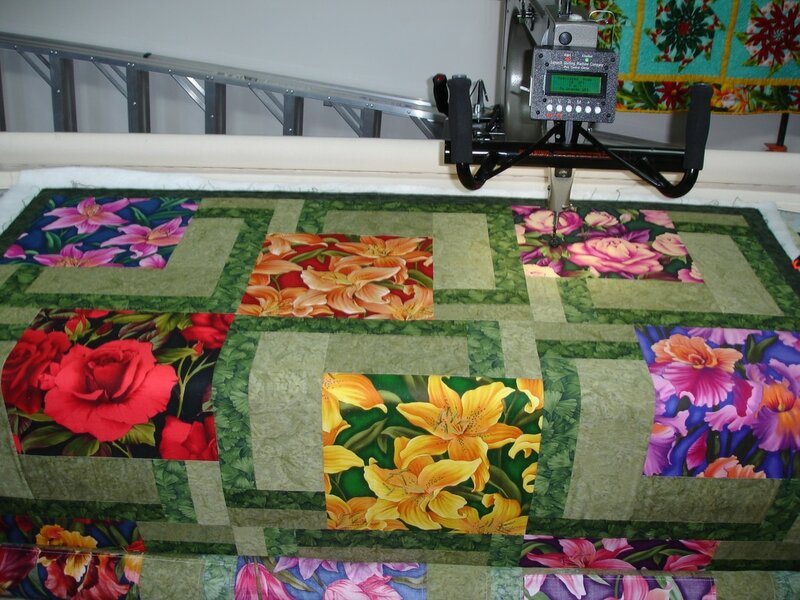 We currently have two Long Arm Quilt Machines: ABM Innova with AutoPilot for computerized patterns, and a Gammill Optimum Plus for manual custom quilting. 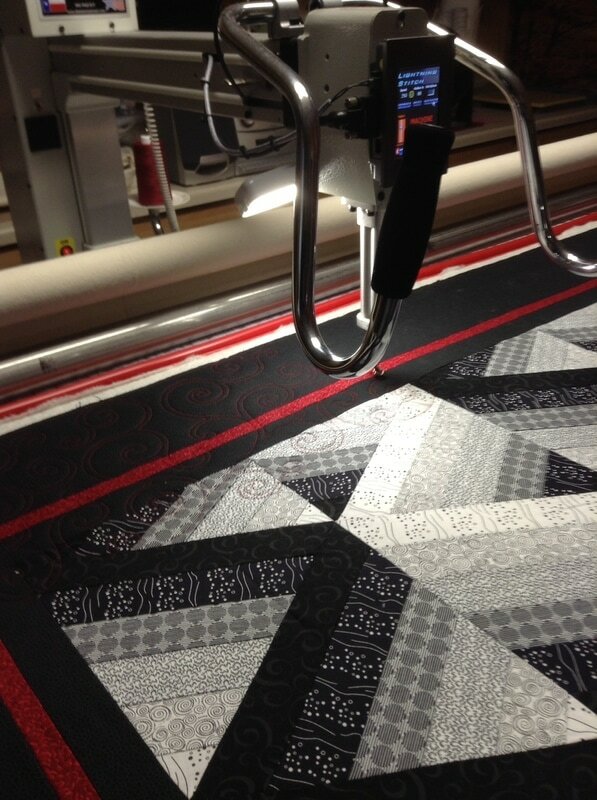 We charge (in 15 minute increments) $26.00 an hour for computerized patterns, $30.00 for manual custom quilting. Thread is included at no additional cost. We carry Omni Thread and American & Efird Thread in over 90 colors. We do not provide variegated or invisible thread. Batting is available to purchase according to size. We carry Warm & Natural, Warm & White, and Soft & Bright. Contact us for batting prices. Approximate turn-around time is within 30 days. 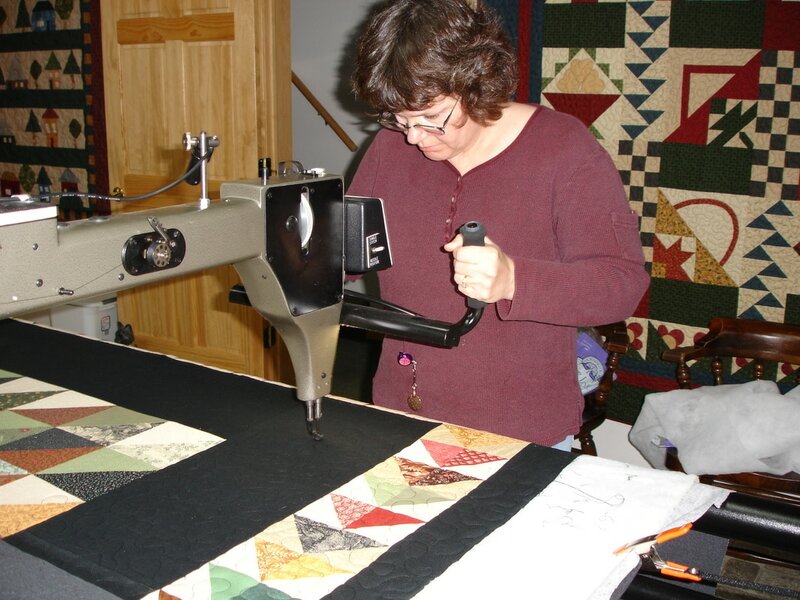 There is a $20 rush fee for quilts needed within a week.